Happy end of the week all! I have a quick freebie for you today - a simple back to school Maths Activity that I did at the start of our school year and loved. 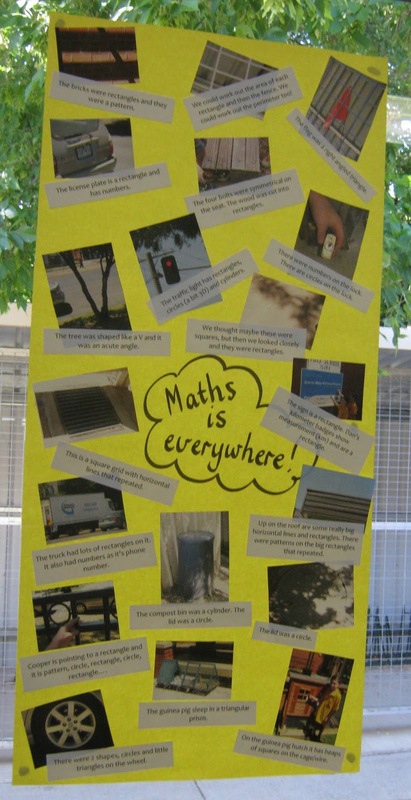 It is all about teaching children to look for Maths in everyday situations and around the school. We started off brainstorming what Maths is, then moved into taking photos around the school then wrote captions. This is what mine looks like for this year. 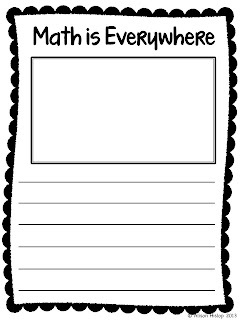 However, I made up a little pack for you all if you want to use it - I will definitely be using the worksheet and cute poster next year! Click on the picture to download. If you don't have a Teachers Pay Teachers account, email me and I will email it to you! 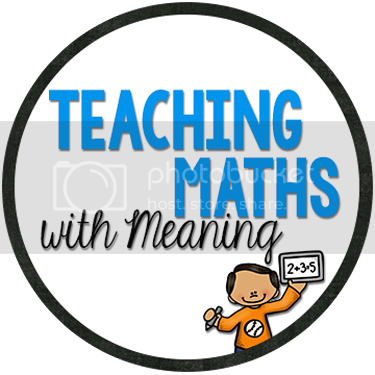 Included is both the terms "Maths" and "Math" to cater for all. I love this. 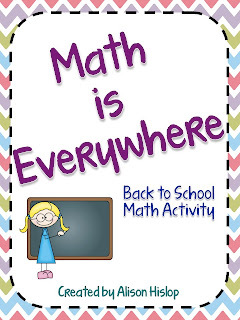 I'm going to use it during one of our first days of math. Thanks for sharing!